Online Service! Click Below for Chat! 1. Smooth & soft surface, flawless application, medical silicone safe for the skin, perfect cosmetic blended applicator. 2. A makeup applicator with non-porous surface, without any wasting when stippling and blending liquid foundation. 3. Application: Ideal for blending out all kinds of creams like BB Cream, CC Cream, Air Cushion, foundation, blush, highlighter and concealer. Clear transparent and many existing solid colors we have. -Use less foundation than normal blender sponge and will not be moldy. -Perfect Makeup applicator. Easy to clean it up, Only wet napkin and water will make it clean very much . · We have a strong team that can offer the best service for our customers, from design, moulds, machine , production. · Steady product quality, Strict quality control. · OEM&ODM service is available, custom-made service allowed. · Logo stamped is available. it will can be refundable at time of order if the qty of order meets our standard. Good after-sale service provided, we believe in good customers service all the time. 1. Which shipping way is available? 2. Which payment way is workable? 3. How about sample policy? If we have the sample in stock, we will provide free sample to you. If we don't have any in stock, you should pay the sample fee. But the sample fee will be returned to you after order confirmation. Sample fee is charged by the shipping company . Client should pay it. We have been focused on Makeup Sponge for over 8 years and enjoys good reputation. 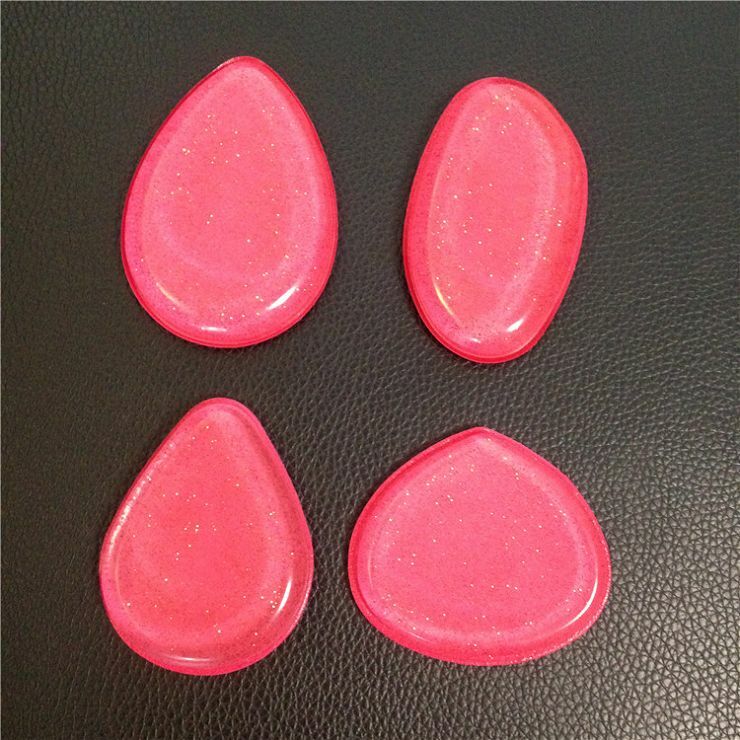 If the professional latex free silicone makeup foundation sponges beauty blender meet your requirement, welcome to wholesale the quality and cheap silicone products with us. We'll offer you free sample to check the quality. For customized products, welcome to contact us.